With over 800 verses dealing with the Tabernacle, and the Bible declaring it was modeled after the one in heaven, I think we can conclude that God is trying to communicate something important to us. In fact, I believe this is where the believer can enter the “sweet spot” of Christianity; that is if they are willing. It is here, in this place, where we will find the answers about life. As one of the most overlooked road maps in the Bible, our book “The Inner Journey” helps believers understand the 3 stages of spiritual growth described in the Tabernacle. This journey leads to a place the Lord is beckoning all of us to reach. Today this “meeting place” takes place inside our soul, in the Spirit. Everything that touches our lives presents an opportunity for us to access this holy place. Be encouraged, over time, God will come into focus. This is the place where God communicates with us, here on earth…about everything! In summary, in the third level of spiritual growth we see the Ark of the Covenant or box containing the Ten Commandments of God, where He “lays down the Law”, even writing them in stone. Here sin is judged by a sin-hating God. Yet on top of the Ark of the Covenant we see the Mercy Seat and two cherubim, the merciful side of God. Covering the Mercy Seat we see something red and astounding. We see blood all over the place, but not just the blood of bulls and sheep. This is in reality, Jesus’ blood. Jesus presented His blood in the temple in heaven at His ascension in Hebrews 9:24. Notice that God doesn’t do away with the Law written on stone tablets. He doesn’t explain away and remove or diminish the parts of the Bible like some in the liberal side of the Church tend to do. Also notice the mercy and forgiveness He offers us through His shed blood. He doesn’t categorize certain sins as unforgivable as some in the conservative side of the Church tend to do. Furthermore we see God speaking to us from above (the box) the Law and the Mercy seat, from between the two gold cherubim. These guarding cherubim protect the parameters of the conversation. 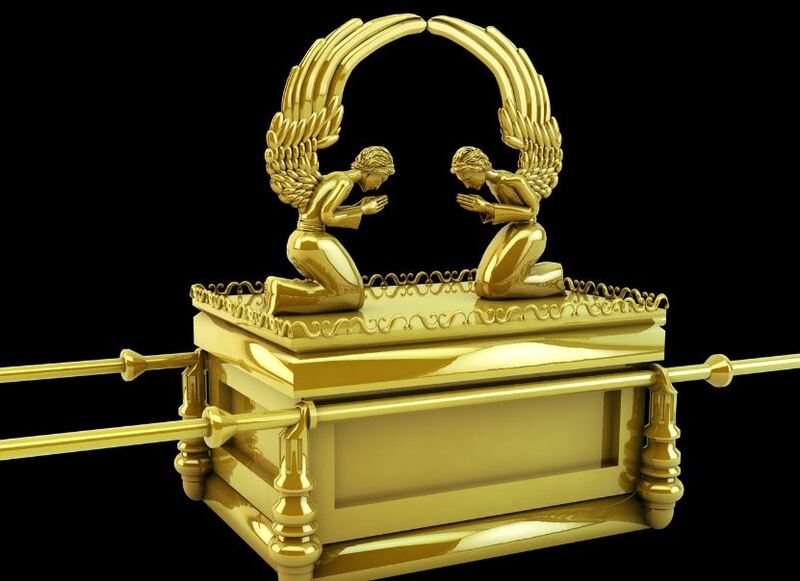 These two cherubim were hammered out of one piece of gold so they would face each other and the Mercy Seat. This shows us that God speaks to us about an issue when we are “hammering things out” face to face, over His throne of Law and Grace. 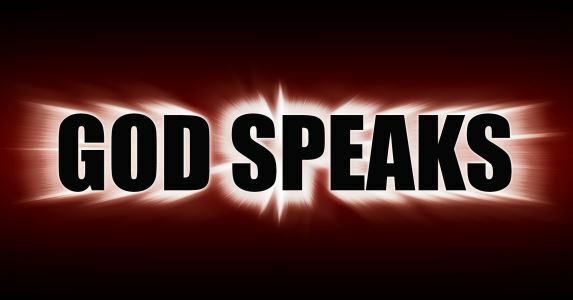 God speaks somewhere between and above Law and Mercy. We need to pay close attention here. . This is where our solutions will be found! Seeing Jesus shedding His blood, suspended between heaven and earth, gives us a picture of how expensive and precious this in-between place can be. It is also important to note here, we are not talking about the “middle ground” but the “in-between” place. This isn’t about being a moderate. The Spirit of truth speaks to us within these Biblical parameters. Like playing a guitar, the music may require a different movements between the bridge and tuning keys. It may be necessary to lean to one side or the other periodically. This is where the binary thinking of unregenerate humans often miss potential solutions because they are looking for a black or white, either or scenario. Yet we serve a trinary God, Who speaks from the Law and Grace as well as from the in-between places. 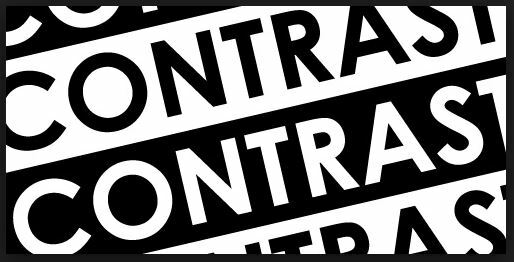 To help illustrate this we’ve included 24 Biblical contrasts found in the Scriptures. It seems in order for the Lord to communicate eternal spiritual truths from His dimension, He has to use parables or juxtapose contrasting examples to lead us to the in-between places where He speaks. This is where the Lord seeks to teach us to discern between the Good & Evil, the Holy & Unholy, the Clean & Unclean and the Right and Wrong. See Leviticus 10:10; Ezekiel 22:23-26; Hebrews 5:12-14. Posted in Most Popular Articles and tagged Ark of the Covenant, Christian Maturity, Contrasts, Hearing God, Jeffrey B Krall, The Inner Journey on November 26, 2015 by Jeff Krall.